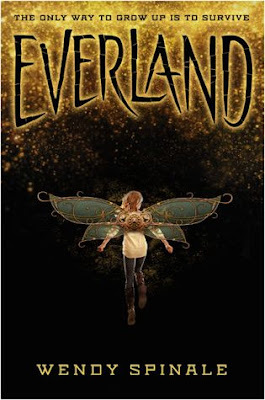 To be honest, I had Everland on my TBR for a while, but I didn’t know when I would have time to get to it. Then I helped with a promotion for the newest book in the series, and the more I read about the book, the more curious I became. When I noticed my library had the series on audiobook, I decided to go ahead and give them a try, and I’m SO GLAD I DID!! I knew going into this book that it was a Peter Pan retelling with a twist, but that didn’t at all prepare me for the story that I was about to read. I absolutely love retellings, and as I’ve not read many so far this year, I was really looking forward to diving into this one. I have to say I was definitely impressed!! The storyline was fascinating, and, as it was a retelling, very familiar. I enjoyed the twist in the storyline as well. The characters were also interesting, although at times it was hard to keep up with them all, but I loved Wendy and Pete and all the rest of the crew as well! As I mentioned above, while I have a physical copy of this book, I opted to listen to the audiobook through my public library instead. I am so glad that I chose to do it this way, as the audiobook was SO GOOD!! The narrators were both great, Fiona Hardingham narrated for Wendy, and Steve West for Hook, and they were both perfection. If you have the option to listen to this on audiobook, you should totally should. You won’t regret it at all! Overall; I really enjoyed reading Everland, so much more than I expected to! The storyline and characters were great, and I love the narrators for the audiobook as well. I’m super curious to get started on the next book, Umberland, which just recently released into the wild. I hope I enjoy it as well! This is the first time I've heard of this book! This sounds like it will be so much fun. I don't think I've read any Peter Pan retellings before (and I haven't ever read/watched the original either! Whoops). Thanks for the lovely review. Another book added to the ever-growing TBR! OOh nice! I got this book awhile back as well, because fairy tale retelling!! Still need to read it though. But glad to hear you enjoyed it so! Nice review!